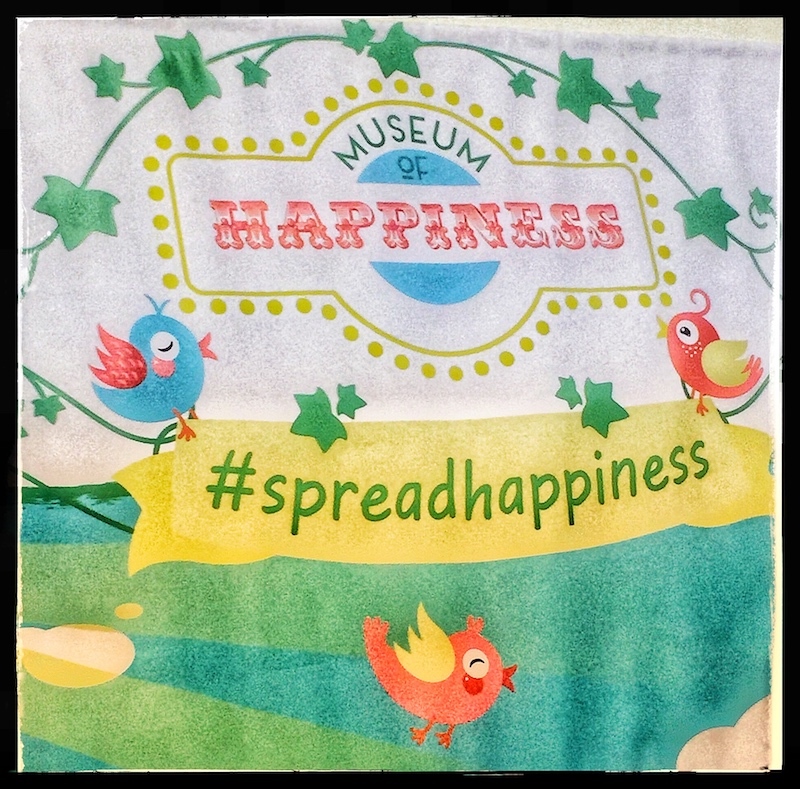 Last Friday I attended the Happier World Conference at the Museum of Happiness in Camden. Aside from a talk or two, this was my first proper happiness event and whilst there were lots of different aspects to the day, there was one message that stood out for me…BE KIND. Kindness is one of our favourite topics here at Happynesshub HQ so I want to share some of the kindness inspiration I received at the conference with you Hubbers. The first speaker of the day was a man called David Hamilton. Originally in the pharmaceutical industry, David’s studies on the placebo affect led him to look at the impact that being kind has on our bodies… and it turns out, it’s pretty good for us! When we regularly perform acts of kindness, the physiological affects are actually the very opposite to those caused by stress. Being kind releases a hormone in us called oxytocin, which then moves through the arteries and causes them to go soft – which reduces blood pressure; whereas when we are stressed, our arteries harden – increasing our blood pressure. Indeed a study on married couples revealed that the couples that were kind to each other had more healthy arteries than those who were hostile towards each other. So kindness is cardio-protective! But it is not only the body that is impacted by kindness – our minds are too. David’s book The Five Side Effects of Kindness explains how performing acts of kindness makes us happier. Doing something nice for another person elevates the dopamine in the brain and so we have a nice feeling referred to as ‘Helper’s High’. And this takes me on to the lovely Jaime Thurston – the final speaker of the morning and somebody who spends her time facilitating acts of kindness. Jaime founded the charity 52 Lives in November 2013. Back then, she met a woman who was really struggling in life and decided to do her best to help her. This resulted in Jamie gathering donations from friends and family of items that would be of use to the woman. What Jamie then came to realise, was that it was not necessarily the items that helped the woman the most, but merely knowing that there were people out there who wanted to help her. And so, 52 Lives was born. The aim of the charity is to change one person’s life every week through Jamie simply putting a request out on Facebook for people to do something to help. This has ranged from financial donations to cards of support to household items. 52 Lives has now helped over 164 people in this way. Not only this, but they have now launched a schools project through which they run workshops for the children on kindness, with each workshop focussing on a child that the school works together to help. Most importantly, Jaime just wants to inspire people to be kind. She wants people to know we’re all in this together, we are not alone and we need to support each other. So make sure you follow 52 Lives on Facebook! So Hubbers, let’s do some acts of kindness. Make somebody dinner. Lend a family member a helping hand. Simply smile at somebody in the street. And kindness has a knock-on effect. One study at Harvard has shown that a single act of kindness benefits around 125 people according to the average interactions a person has. Kindness – it helps your body, your mind, not to mention the people on the receiving end, and it spreads like wildfire. So remember to always be kind!